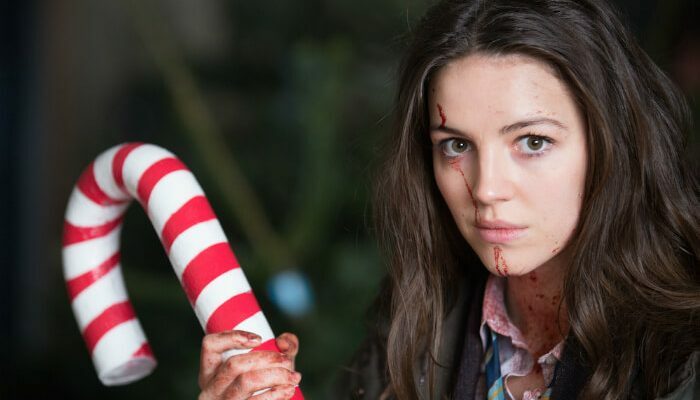 Manchester’s Festival of Horror, Cult and Fantastic film, Grimmfest, has announced its line-up as it readies to celebrate its 10th anniversary. 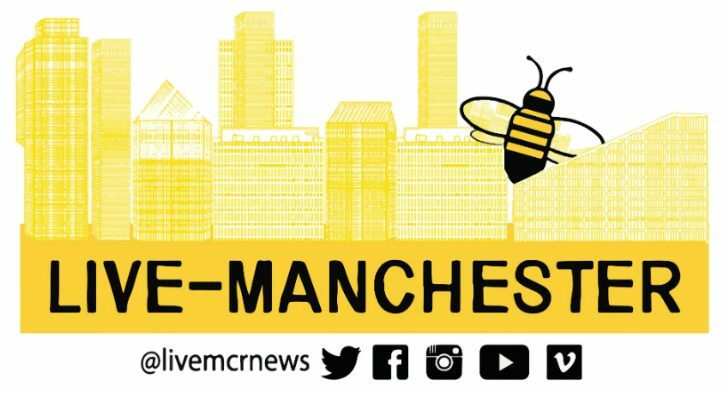 The festival, a staple on the Manchester calendar, is set to offer up decimation with the darkest, deadliest line-up of wild, blood-spilling movies. Grimmfest will feature premieres, cult-classics, guest appearances and so much more. After the first details of Grimmfest 2018 were released, the full programme has now been revealed. And it looks devilishly good! 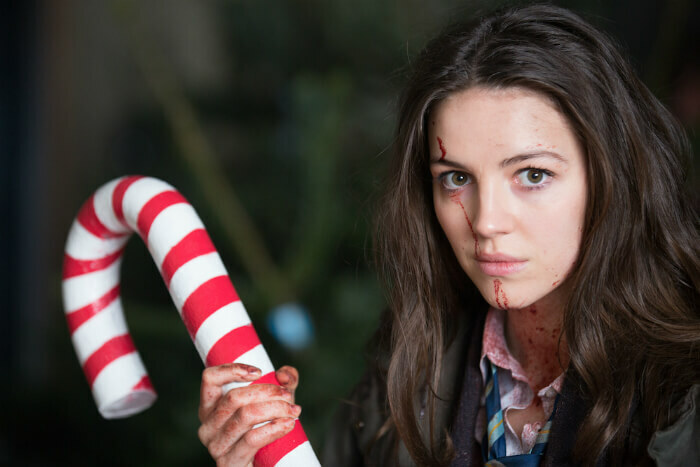 Grimmfest 2018 will celebrate North-West talent with a special family-friendly screening of CBBC and DHX’s horror anthology Creeped Out as well as a showing of the dark psychological horror fable Splintered from Festival Directors Simeon Halligan and Rachel Richardson-Jones. Their debut feature has been fully remastered and the razor-sharp new cut offers an opportunity to reacquaint yourselves with this truly Grimm Fair Tale – From Once Upon A Time… to …Happily Ever After? Only time will tell! 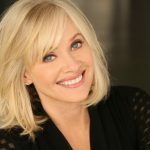 This year’s classic screening, opening the main body of the festival is Re-Animator which will be presented an introduced by Grimmfest guest of honour Barbara Crampton. Barbara will also receive the first Grimmfest Lifetime Achievement Award sponsored by the Horror Channel. 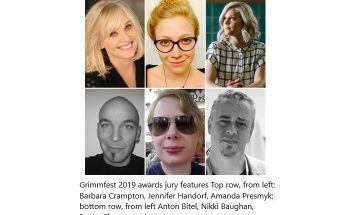 The Lifetime Achievement Award is just one of the categories of awards set to be handed out at Grimmfest, celebrating the very best genre titles selected for the annual festival as well as the creative teams behind them, adjudicated by an all female panel. Old favourites will make their return! The festival welcomes back many of the filmmakers who have been such a major part of the last decade of Grimmfest (stemming from its days as Grimm Up North). Rob Grant (Fake Blood, Moni Ami) presents the UK Premiere of the truly outrageous Alive. 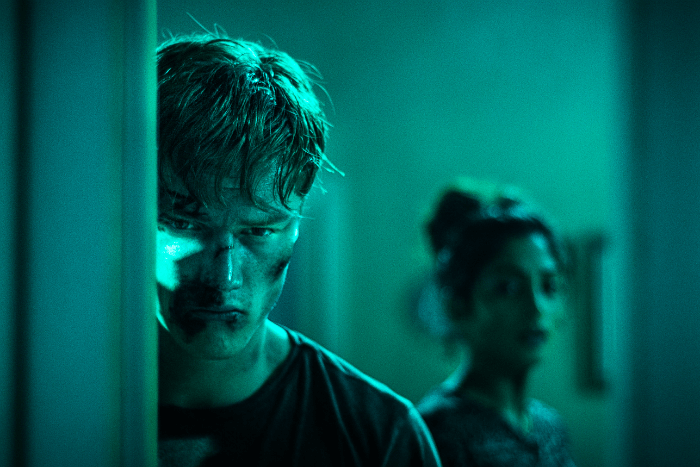 Johnny Kevorkian, whose The Disappeared screened at the very first festival, returns with the Northern Premiere of the claustrophobic sci-fi horror Await Further Instructions. 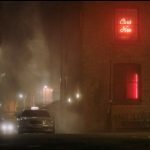 There’s the UK Premiere of Gothic noir I’ll Take Your Dead from Chad Archibald (Antisocial) and the Northern Premiere of Summer of ’84, a bitter little antidote to all of the current nostalgia for the Eighties, from the talented trio behind Grimmfest favourite Turbo Kid. In keeping with the theme of welcome returns, the festival also presents a couple of startling cinematic reboots – or revenants if you will. Indonesian maestro Joko Anwar (Modus Anomali) makes a Grimmfest comeback, with his unsettling reimagining of obscure cult oddity Satan’s Slaves, already a huge box office smash all over South East Asia, and now receiving its UK Premiere; while Scandinavian shock-auteurs Sonny Laguna and Tommy Wiklund (Wither) resurrect Charles Band’s cult classic series for a new generation with the mischievous Puppet Master: The Littlest Reich, a Northern Premiere (and Barbara Crampton’s second film of the festival), and also treat festivalgoers to the World Premiere of their latest short, Mystery Box. 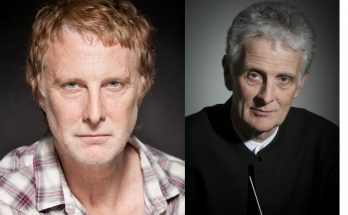 Alejandro Brugués, director of another Grimmfest favourite, the riotous Juan of the Dead, joins fellow masters of the macabre, Joe Dante, Mick Garris, Ryûhei Kitamura, and David Slade for the much-anticipated all-star horror anthology Nightmare Cinema, another UK Premiere, and Lora Burke, powerhouse star of Poor Agnes returns in the Greater Manchester Premiere of Justin McConnell’s emotive body-horror love story Lifechanger. But there’s also plenty of fresh faces at Grimmfest 2018. 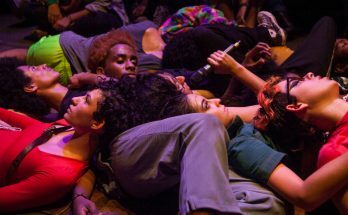 The festival will host the European premieres of Daniel Robbins’ nail-biting Pledge and Olivier Afonso’s outrageous Girls With Balls. Also screening are UK Premieres of the hilariously twisted Brother’s Nest from Australia’s Clayton Jacobson, the gruesome Framed from Spain’s Marc Martínez Jordán and Lin Oeding’s savagely satirical Office Uprising. The line-up also features a raft of regional Premieres, including the Northern Premieres of Jon Knautz’s unsettling The Cleaning Lady, Aislinn Clarke’s chilling The Devil’s Doorway, Andy Mitton’s eerie The Witch in the Window, and Issa López’s magical Tigers Are Not Afraid. Also screening are the Greater Manchester Premieres of Nicolas Pesce’s perverse and discomforting anti-Rom-Com, Piercing and Bradford Baruh’s demented Dead Night, again starring Grimmfest’s very special guest Barbara Crampton. All this plus a brutal brace of short film programmes, which sees a focus on female creators and the return to Grimmfest of Faye Jackson, director of Strigoi, another classic film from the festival’s opening year, with her new short The Woman Who Hid Her Fear Under The Stairs. 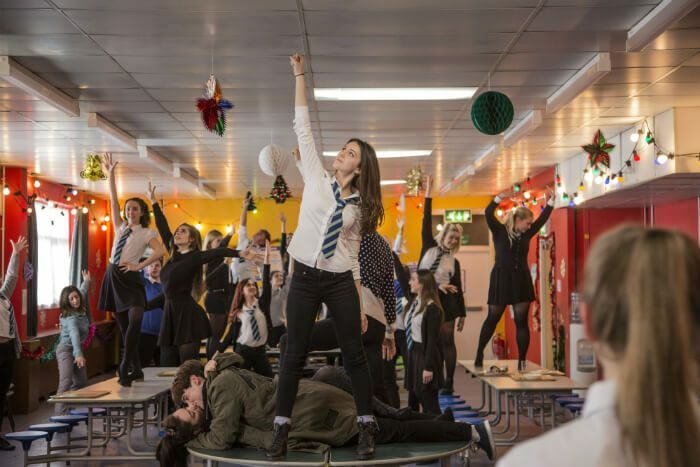 And closing out the festival will be the Greater Manchester Premiere of zombie high school musical Anna And The Apocalypse featuring Ella Hunt. Where and when does Grimmfest take place? 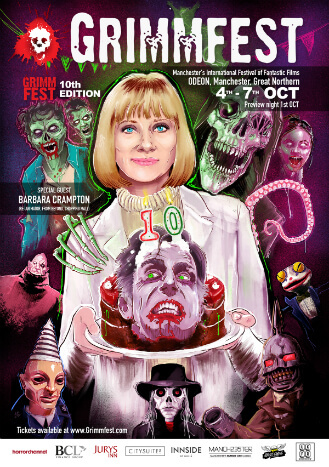 Grimmfest runs at Manchester’s Odeon in the Great Northern from 4-7 October. Full festival passes are available from the Grimmfest website. Day passes and individual film tickets will be released on 3 September along with the full festival programme. In Interview: Roxanne Pallett on new film Habit - "we were like a family ... a family soaked in blood!"